Aside from leaving off the up armor plates, what other changes need to be made to backdate this kit to A1 standard? Or would it be more simple to modify an A0 kit to A1 appearance? M2A2 to an M2A1? Should be easy enough to make it look cosmetically alike. The firing ports were covered over with a blank piece of armor unlike the M3 blisters that were still present. Older style bustle rack, I know I have pictures in my motor pool album. Everything you need to build an M2A1 is in the box. The only A2 parts that you will still add are the larger turret basket, guard around the driver's vision blocks, and guard around the BC's vision blocks. Leave off the grenade storage boxes on the front of the turret too. Some M2A1 ref pics, unfortunately, there are not many of this version. M3A1, but disregard the rear TOW relaoding hatch on the rear top and the rest is the same. That’s pretty much what I figured. Thank you sirs! One last question- looking at photos, it appears that some of the M2A1’s kept the sloped bustle rack on the turret, instead of the newer straight enclosed rack? Perhaps early production? 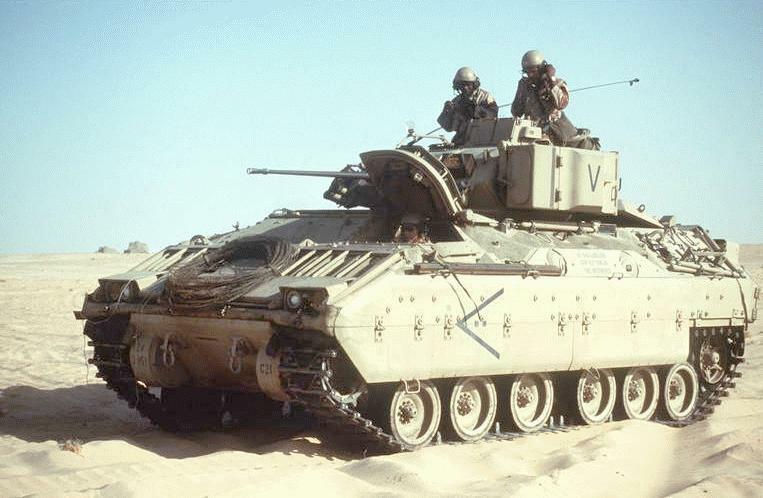 in my experience, in 1987 my unit was starting to upgrade some of the M2A0s to A1s. There were vehicles with the larger bustle rack and some without. Same with the smoke grenade storage boxes. My company, at the time of my departure was still 100% A0 models. Other companies were in process to be upgraded. these were the same vehicle, just brought up to A1 specs. My unit was Dco 2/30 Inf 3rd ID, Schweinfurt Germany. jan 86 to june 87.
oh, and our Battalion was still 100% forest green, no 3 color nato cammo. Your Battalion upgraded the A0s to A1s? Or were they swapping them out? MWOs were often applied to upgrade one version to another. Normally a contractor came in to apply the MWO to your fleet, other times kits came through the supply chain and the mechanics did the work. 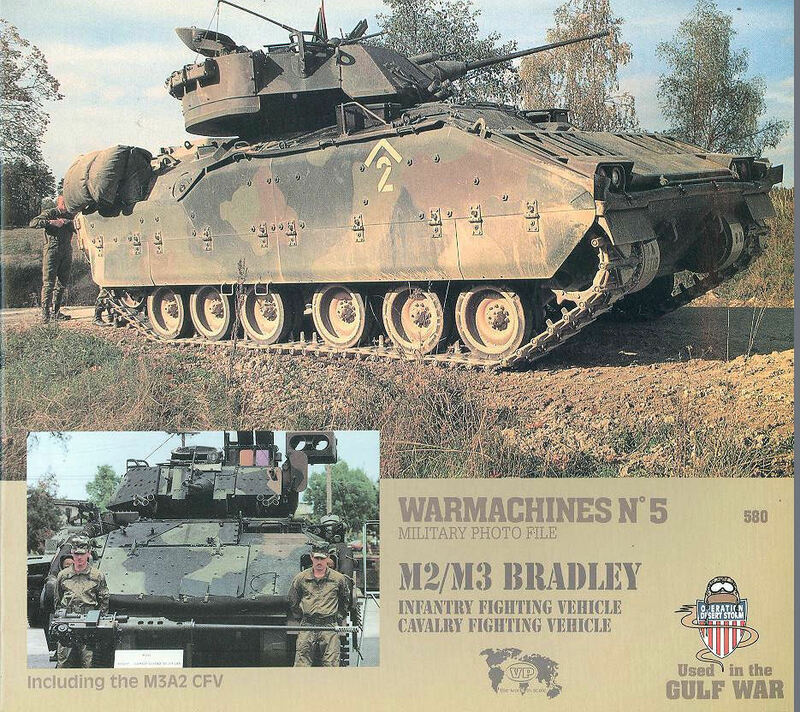 I don't know about M2 to M2A1, but I know there were contractors that did some upgrades to our M3A2 to M3A2ODS. Ok, I remember the mechanics upgrading our M901s to give them the TOW 2 capability. That makes sense. That was one of the upgrades from the A0 to A1 Bradleys. There are probably A0s MWO'd to A1s and A1s manufactured that way. And there are probably differences, but I never really tracked Brads like I did M1s. Just the cav weapons portion of my basic course (couldn't tell you if we used M3A0 or A1) and our scout platoon which used A1s in Germany and A2s in Texas until the HMMWVs replaced them. That's when the E Co. turned in 901s and drew M3A2ODS before being done away with. They upgraded, None of the vehicles in 2/30 were new. They were all several years old. They received them in 84 and I was there 86/87.. it was mid-87 when I started seeing the upgrades. I asked about when "my" vehicle was getting the upgrades and I was told at the end of 87, but I was out by then. Got ya! I did not realize they could be upgraded to A1 from an A0. Thanks for the info!